High quality long type motor for M4 / M16 / MP5 / G33 rifles. Includes spring and pinion gear. 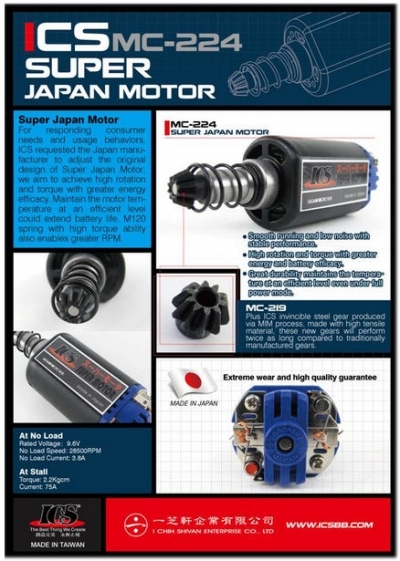 Turbo 3000 motor’s torque force sometimes is too strong with peaks of electric current, while the super Japan motor has a more consistent torque at electric current peaks.